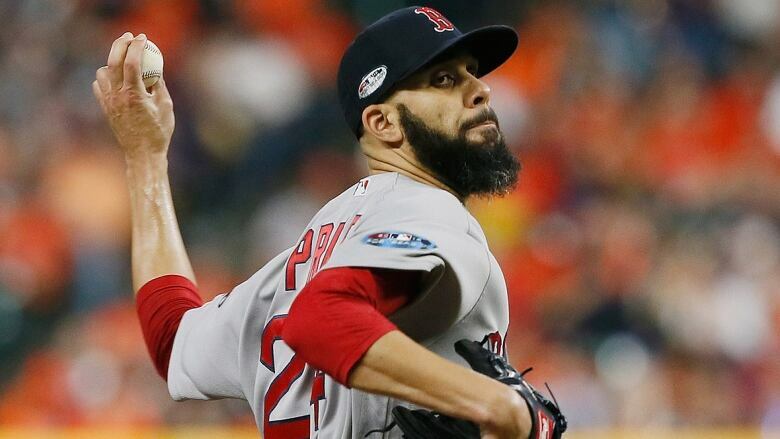 As if the drama of the World Series had not been unpredictable enough, the Boston Red Sox threw out their latest surprise when they named pitcher David Price as the starter for Sunday's Game 5 against the hometown Los Angeles Dodgers (8:09 p.m. ET). Red Sox manager Alex Cora revealed that he had shuffled the pitching rotation following Saturday's come-from-behind 9-6 win over the Dodgers. Game 1 starter Chris Sale was expected to again get the ball but, with the Red Sox leading 3-1 in the best-of-seven series, they will turn back to Game 2 winner Price. "It's something we talked about before [Game 4]. We feel like David is good [for Sunday]," Cora said. "We feel that this is a good spot for David, in a National League park to start a game. Obviously he's been throwing the ball well. "It's not that we're playing with the lead, but we feel that for the team, for where we're at pitching-wise, it's good to go with David." Cora has rarely been second-guessed during a post-season run that has featured 10 wins to just three losses. This move, however, has set off alarm bells - mainly about the health of Sale, who missed a start in the American League Championship series due to a stomach illness. "Chris is okay," Cora said. "Actually, he'll be back there. If necessary in Game 6, he's the starter." While Sale did not take the field during the team's win on Saturday, he was certainly active. He was seen yelling at his teammates after the Red Sox fell behind 4-0 to the Dodgers, and Boston credited him for sparking the rally. "Oh, my god, he was mad at us. I think that kind of lit a fire under everybody," Red Sox infielder Brock Holt said. "We didn't want to see him mad anymore. So we decided to start swinging the bats a little bit." Price will be hoping for similar support today when the Red Sox attempt to clinch their second title in five years. For Price, the start will also be an opportunity to continue to slay his post-season demons. The 33-year-old, in the midst of a seven-year, $217-million US contract, earned his first playoff win in 12 tries during the ALCS. He has now won his last two post-season starts, after leading Boston past Los Angeles in Game 2. One more victory would be the ultimate triumph for him and the Red Sox.